Helmut Kunz --- Who Really Poisoned the Gobbels Children? Bernd Freiherr Freytag von Loringhoven (6 February 1914 - 27 February 2007), was an officer in the German Army during World War II and was later appointed to the German Federal Armed Forces, the Bundeswehr. Loringhoven was a Baltic-German descended from an ancient and illustrious family first ennobled in the 12th century (Baron: Livonia, Courland 1198; Master of the Teutonic Order 1485, Gotha Register 1896, 1934 1942). He was born in Arensburg (Kuressaare), Governorate of Livonia. After one year of law studies at the University of Königsberg, he joined the Reichswehr in 1933. He was promoted to Leutnant in 1937. In late 1942, the tank battalion under Loringhoven's command was encircled during the Soviet counter-offensive at the Battle of Stalingrad. On 23 January 1943, he was awarded the German Cross in Gold (Deutsches Kreuz in Gold) as Hauptmann (captain) in the 2./Panzer-Regiment 2. That same month, he was flown out of the pocket and later transferred to the staff of 111th Infantry Division on 2 March 1943. In November 1943, Loringhoven was promoted to major. From July 1944-April 1945, he served as an adjutant to the Chief of Army General Staff (first, General Heinz Guderian and then General Hans Krebs). Loringhoven's cousin, Wessel Freytag von Loringhoven, provided the detonator charge and explosives for the July 20. 1944 assassination attempt against Adolf Hitler. 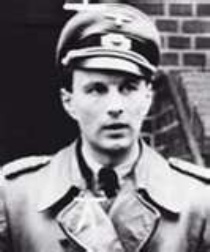 They knew each other well but Bernd was not involved directly in the plot; after it failed Bernd managed to escape arrest, due to the support of Guderian. However, Wessel was suspected of complicity in the plot and committed suicide on 26th July rather than risk implicating his family and colleagues. Loringhoven's last assignment was as a staff officer responsible for the preparation of reports for Adolf Hitler. This work required a constant presence in Hitler's entourage. After 23 April 1945, when Hitler's communications staff began to desert, he had to improvise and he based his intelligence reports on information he was able to gather from the Allied news agencies Reuters and the BBC. Fortunately, Hitler was not aware of this. In the evening of 29 April, he left the Führerbunker with Gerhardt Boldt and Lieutenant-Colonel Rudolf Weiss. That morning, Loringhoven had approached Krebs and asked if he and Boldt could leave Berlin and "return to the fighting troops". Krebs talked to Burgdorf to get his advice. Burgdorf approved but indicated that they should take his assistant, Weiss. Hitler was approached for his approval at midday. Surprisingly, he asked many questions and offered his advice. Hitler asked, "How are you going to get out of Berlin?" When Loringhoven mentioned finding a boat, Hitler became enthusiastic and advised, "You must get an electric boat, because that does not make any noise and you can get through the Russian lines." When he agreed that an electric boat would be best but added that, if necessary, they might have to use a different craft, Hitler was suddenly exhausted. He shook hands limply with each of them and quickly dismissed the group. Captured by the British on 3 May 1945, Loringhoven spent two and a half years as a prisoner of war. He was not charged with war crimes. After being repatriated in January 1948, he lived in Munich, where he became a publisher. He joined the German Federal Armed Forces (Bundeswehr) in 1956 and attained the rank of general. He was later appointed Deputy Inspector General of the Armed Forces and retired from the army in 1973, with full honours. Late in life, Loringhoven, long a knight of the Order of Saint John (Bailiwick of Brandenburg), actively served the Order as its chancellor and governor. At the time of his death, he was one of the last three known living witnesses (along with bunker telephone operator Rochus Misch and Hitler Youth courier Armin Lehmann) to the events in the Führerbunker at the end of World War II. Although he had left the bunker complex before the time of Hitler's suicide, Loringhoven was often called to testify and to co-operate in script writing. For example, he participated in this way in the film Downfall (Der Untergang). In his memoirs, published as In the Bunker with Hitler: The Last Witness Speaks, Loringhoven focussed chiefly on the final months of the Third Reich. As an aide to army chiefs he had had daily contact with Hitler. He describes the order to join his boss Gen Krebs in Hitler's bunker, just over a week before the dictator's suicide, as a death sentence. He had already survived the fighting on the Russian front and was one of a few to escape from Stalingrad. He met Hitler for the first time in July 1944. His predecessor had been executed for his part in the bomb plot against Hitler. The young Major Freytag von Löringhoven, who was not a Nazi party supporter, says he was "completely flabbergasted" when he saw Hitler just days after the blast. "I had the image of a very strong, vital person with charisma, but what I saw was a sick old man. His right arm was injured by the attempt and his figure had changed, his head was sunk into his shoulders. "His left hand was very weak and his left foot dragged behind him." As for reports that Hitler had had a charismatic spell, he says: "I felt nothing, the eyes were pale and without any expression anymore." He said he was surprised that was in the hands of such a "sick prematurely old man". Inside the bunker he describes wild mood swings. There would be a temporary explosion of hope and then confidence would collapse again. The main topic of conversation was suicide - whether they should take cyanide pills or shoot themselves in the head when the Russians arrived. He also recalls the drunkenness in the bunker, but not the orgies that some accounts speak of. He says he was too busy preparing for situation conferences. When he met Hitler's mistress Eva Braun - soon to be the Führer's wife - he had no idea who she was. The Nazi elite had been very discreet. Just days before the end, Magda Göbbels, the wife of Hitler's Propaganda Minister Josef Göbbels, arrived with her six children. They would later be poisoned by their parents in the bunker with the help of an SS doctor. He recalls their pale faces peering out in fear from inside their dark coats. "When I saw these poor children it pressed my heart," he says. He feared there was no chance of getting out. News that his trusted SS Chief Heinrich Himmler had made peace feelers to the Allies had a devastating affect on Hitler in the final days. "This was like a bomb. Hitler called it treason," the former major says. But with his work done, just 24 hours before Hitler's suicide, Major Freytag von Löringhoven was given permission to break out. He said he had no wish to die "like a rat in the bunker". He took his leave from Hitler with one last meeting which lasted around 20 minutes. "I personally got the impression that he was a bit envious," he says. "We were 29 or 30 years old and we had a chance to get out because we were sound and young and he had no chance because he was a wreck." He disputes portrayals of Hitler as raving and foaming at the mouth in the final days. "I was present at these rages but they were not so excessive," he says. He never saw him screaming with anger but says he could be "ice cold in his expressions and very aggressive, especially towards the generals". Hitler was by the end resigned to his fate. His Reich, which was to have lasted 1,000 years, was in ruins. But looking back, one thing still puzzles him. Hitler, he says, "was still so quiet and realistic just 24 hours before he shot himself". The young officer escaped, was captured by the western Allies and held as a prisoner of war. He re-joined the army in 1956 and later served in NATO. He maintains that the divide between the army and the Nazi elite was very real and that although there were rumours, no one discussed the fate of the Jews in top military circles. It was "taboo" he says. Asked for his abiding memory of Hitler 60 years on? He pauses at first, then says simply: "He was a terrible creation. Yes, a being, but a being full of evil and cruelty... he was a monster." Freiherr von Freytag-Löringhoven lived a fascinating life. He joined the Wehrmacht in 1933 (under a commission to become an officer) just after the Nazis gained power. He spent the next 12 years involved in many of the most interesting aspects of World War II: including the invasion of Poland (as a staff member under Walter Wenck, who would later command the German 12th Army and become the focus of Hitler's famous "Where is Wenck?" calls at the end of the war), the invasion of France, and the invasion of the Soviet Union (working under Blitzkrieg specialist Heinz Guderian) where he eventually becomes promoted to major and in command of a tank battalion that is part of the troops encircled at Stalingrad (he escapes after he is selected to be flown out to take a message personally to Field Marshal Erich von Manstein essentially asking for immediate aid from von Manstein's, Army Group Don, for the imperiled Sixth Army of Paulus). The book published by Bernd Freytag von Löringhoven in 2005, In the Bunker with Hitler, apparently when he was 92 years old, contains only one real nugget that we did not already have from earlier sources. On page 47, Löringhoven writes that "on 1 April 1944, Wessel had remarked to me that he felt he was being watched by the Gestapo ... we arranged to meet for strolls in the forest surrounding the headquarters. There it was that he mentioned to me the existence of a new plot against Hitler." By not reporting this event to his superiors, Löringhoven, a member of the General Staff, violated a most basic trust in the officer corps of any military organization, of any nation. Wessel was Löringhoven's cousin, and, after the 20 July assassination attempt on Hitler, he was sent, on the morning of 26 July to look for him. "I found him a kilometer away, lying dead, a pistol by his side ... My cousin ... had committed suicide." "I denied everything, a credible position since nobody had seen me walking with my cousin Wessel ... It was only much later that I discovered that my cousin had provided Stauffenberg with the detonator." After the July 20, 1944 assassination plot against Hitler fails and the purge of the officer corps begins, Guderian is named Chief of the Army General Staff and Löringhoven his aide-de-camp. After Hitler sacks Guderian in a tumultuous row over Hitler's growing gap between fantasy and reality, Hans Krebs is appointed the new army chief of staff and Loringhoven remains on as aide-de-camp for Krebs. During this period Löringhoven dutifully fulfilled his duties, which included twice daily briefings with Hitler (and a wide assortment of top-ranking Wehrmacht officers and Nazi party officials) first at the Wolf's Lair in East Prussia and then, as the Soviets advance, at the Fuhrer's bunker under the Reich Chancellery in Berlin. Löringhoven's reminiscences of these hectic times as aide-de-camp to Guderian and Krebs, where Löringhoven himself had to provide daily situation briefings assembled from intelligence reports from the front (at least when he could, toward the end he was reduced to compiling reports from radio newscasts by Reuters and BBC and by telephoning homes in Berlin to see if their sector had been overrun yet -- when a Russian answered the phone he didn't need to ask). 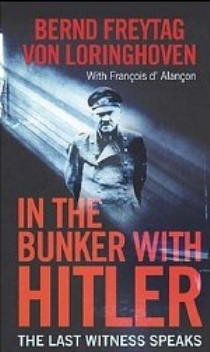 His book is a revealing look at the mindset of the rulers of the Third Reich, especially after he was invited to live in the bunker toward the end of April 1945 (an invitation he considered a death sentence, however, he is miraculously allowed to leave by Hitler the day before Hitler commits suicide). 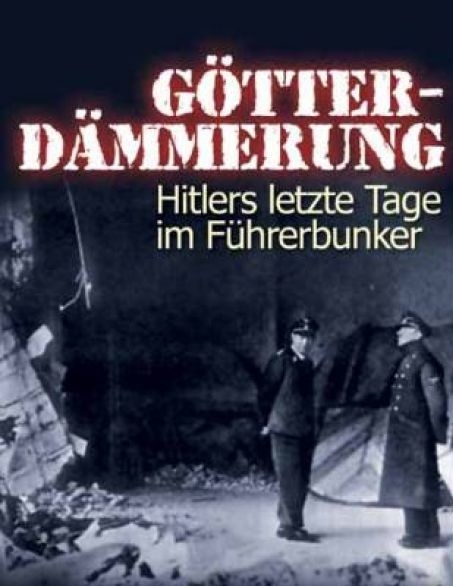 We do not learn much, however, that he has not already revealed before in countless interviews since the end of World War II, beginning with his interrogation by historian Hugh Trevor-Roper, who used the information he gleaned as a springboard for his seminal 1947 book, The Last Days of Hitler. We are reminded first-hand in Löringhoven's book of many things about these last days: for example, that the conversations and mindset of the people in the bunker during the last days were often farcical and absurd; that although Hitler was deluded and often angry he never screamed or foamed at the mouth, instead his rage was one of ice-cold and forceful aggression; that Hitler was obsessed with wreaking vengeance on all those responsible, however remotely, for the July 20 attempted assassination and this hampered his ability to govern; that drunkenness was a not uncommon means of avoiding contemplating the inevitable end (Löringhoven claims to have never seen any sexual orgies/dalliances attested to by others); that the news that Himmler had attempted to negotiate a peace hit Hitler like a psychological bomb. All of this information is quite interesting. What is disturbing is the author spent the 60 years before the publication of this book in denial. Denial about his intimate involvement in Nazism (the fact that he was vetted to work in the bunker after the July 20 assassination attempt speaks for itself), if not outright support, and denial of any knowledge about atrocities, including the murder of Jews and other innocent civilians. For example, the author puts a clever spin on his joining the Wehrmacht in 1933: He states he originally wanted to be a lawyer but changed his mind when he found out that in order to be a lawyer he had to join the "ultra-conservative and anti-Semitic" Nazi party, so he joined the Wehrmacht because it did not require membership in the Nazi party, but at the time membership in any party for members of the Wehrmacht was forbidden so the fact it did not require membership in the Nazi party appears to be a flimsy excuse and the Wehrmacht itself was both "ultra-conservative and anti-Semitic", especially the officer corps of which he was a member. In addition, he claims to have never heard anything about atrocities against the Jews until after the war, stating that while there were "rumors" of such things he did not even know the name of a single concentration camp and discussing such things was "taboo". this is hard to believe as well and an almost incredible statement considering his wartime experiences in Poland, France, and the Soviet Union and, again, his association with the top leadership of the Nazi party the last nine months of the war when the killings of Jews and others actually accelerated and he was privy to conversations involving Speer and others who were indirectly, if not directly, responsible for the oversight of concentration camps used for slave labor. A German army officer responsible for drafting battle front maps for Adolf Hitler's daily briefings said that a week before the Nazi dictator killed himself they were relying on "enemy" news for Germany's defence. Bernd Freytag von Löringhoven, one of a few surviving eyewitnesses from Hitler's bunker, said he had to improvise to keep the Nazi leader informed after the army's 400-man communications battalion fled en masse on April 23, 1945. With the Soviet army closing in on Berlin and Hitler demanding reports on the fronts, Freytag von Löringhoven quietly began using news bulletins from Reuters and the BBC monitored in the bunker in order to piece together his briefings and maps. "Our communications system had been excellent but after the battalion abruptly disappeared I knew I'd have to get news from elsewhere," said Freytag von Löringhoven, 91, in an interview at his home in Munich. A decorated tank commander, Major Freytag von Löringhoven had a ringside seat to history - seeing Hitler at briefings for several hours a day between July 1944 and April 1945 as adjutant for General Heinz Guderian and later General Hans Krebs. The deputy press attache in the bunker Heinz Lorenz monitored Reuters on the BBC. After our own communications were lost, he started giving me their news reports. They contained useful information that we no longer had about the geographical locations of Allied advances in Germany and throughout Europe. To supplement that intelligence for their maps, he and a deputy picked random names from a Berlin telephone book and rang up ordinary residents - as well as their own friends - living in outlying districts to ask if they had seen the Soviet army. "I had to know what was happening and the Reuters dispatches were useful," Freytag von Löringhoven said. "I found I could trust them. They were concise and helped for the maps and military analyses. There was also some propaganda of course, but that was easy enough to ignore. I had seen more than enough of (Josef) Göbbels's propaganda to know what lies looked like." As Germany readies to mark the 60th anniversary of World War Two's end on May 8, the insights from Freytag von Löringhoven offer a new glimpse into the army's communications breakdown and Hitler's remarkable reliance on foreign news accounts. Baron Freytag von Löringhoven, a tall and elegant man with a razor sharp memory who after 1956 held top posts in the West German Bundeswehr as a three-star general, laughs easily 60 years later at the irony of relying on reports from news organisations based in Britain to keep Hitler informed. But when asked if Hitler himself was aware that Reuters and the BBC were the sources of news from the front during the final week of his life, the smile disappears - because to listen to broadcasts from the enemy was flirting with treason. "No I didn't mention that," he said. "But Krebs knew and he trusted me." He said the BBC's German language service read out almost hourly reports quoting Reuters accounts from the front lines. While Germans have been critically examining their country's past for decades, the reflection accompanying this year's anniversaries is different - partly because generations actively involved in the war are at least 80 or no longer alive. That may explain why Freytag von Löringhoven, an articulate aristocrat, has become an important eyewitness often included in German documentaries. He also served as an adviser for the film Der Untergang (Downfall), and recently co-authored a best-selling book about his experiences in the bunker published in France: "Dans le Bunker de Hitler. He is by and large full of praise for the accuracy of the film, a box-office success in Germany, and defends it from criticism over its disputed portrayal of Hitler's human side. "Hitler had many different faces," Freytag von Löringhoven. "He could be kind. The Austrian charm would sometimes come through. He was always asking people about their health. "But he was mostly ice cold and deeply distrustful of everyone," he added, recalling how he endured daily full-body searches in the bunker. "He was especially cruel to army officers. He blamed them for everything." With the Soviets just a few hundred metres away from the bunker on April 29, Freytag von Löringhoven managed to escape with two others, Oberleutnant Gerhard Boldt and Lieutenant-Colonel Rudolf Weiss, through western Berlin and later reached his family in Leipzig. He got Hitler's permission for a plan to try to get through the Soviet encirclement to reach German army generals west of Berlin. He said Hitler was fascinated by the plan, using a small boat on the Havel River, and bizarrely offered advice on getting a boat with an electric motor. Freytag von Löringhoven saw the end was close a day earlier when Hitler was informed about a Swedish radio report that SS chief Heinrich Himmler was trying to pass word through a Swedish diplomat to the Western Allies that Germany was prepared to surrender. On the evening of April 28 press attache Lorenz showed a Reuters confirmation of that, Freytag von Loringhoven said. "For Hitler, Himmler was always the most loyal and so when he saw that Himmler was sending feelers to capitulate it sent him over the edge," Freytag von Löringhoven said. "If loyal Heinrich would betray him, Hitler knew it would be over within hours." Two days later, on April 30, Hitler was dead and Freytag von Löringhoven, posing as a forced labourer from Luxembourg, was on his way to Leipzig. Later captured, he spent two years in a British prisoner of war camp before taking a publishing industry job in Munich. "There were times I thought I wouldn't get out of the bunker alive," he said. "I've had a lot of good fortune in my life." Baron Bernd Freytag von Löringhoven, who as a young German Army officer was one of the last to flee Hitler’s Berlin bunker as Soviet troops closed in, died on Feb. 27 in Munich. He was 93. Wolf Jobst Siedler Jr., the German publisher of Baron Freytag von Löringhoven’s memoirs, confirmed the death, which had apparently been reported only in British newspapers. 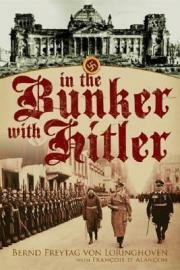 The only living veteran of the last days in the bunker is believed to be Rochus Misch, Hitler’s bodyguard. Hitler’s secretary, Traudl Junge, died in 2002, and Erna Flegel, a nurse in the bunker, died last year.